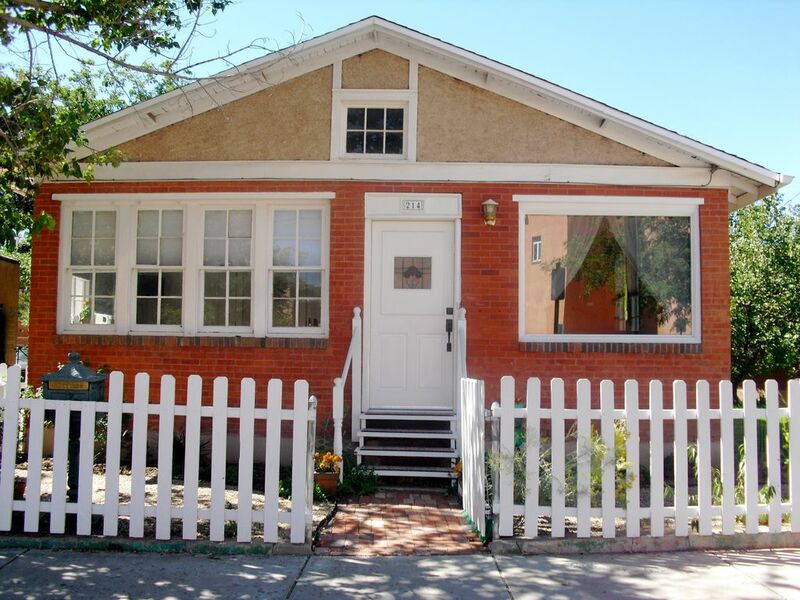 Unique historic light filled home with white picket fence and grassy front yard with fruit trees in downtown Santa Fe. Walking distance to The Plaza, Convention Center, shops, galleries, museums, and restaurants. Open living room and dining room, master bedroom with queen bed, guest bedroom/den has full sofa bed, 3 bathrooms: one with a Jacuzzi tub, another downstairs with a walk in shower and a powder room in the den. It has wood floors and laundry facilities downstairs with a small exercise area which includes treadmill. It includes 3 off street parking spaces. Can seat up to 6 people. Maximum 2 people with possible extra person in guest room/den.